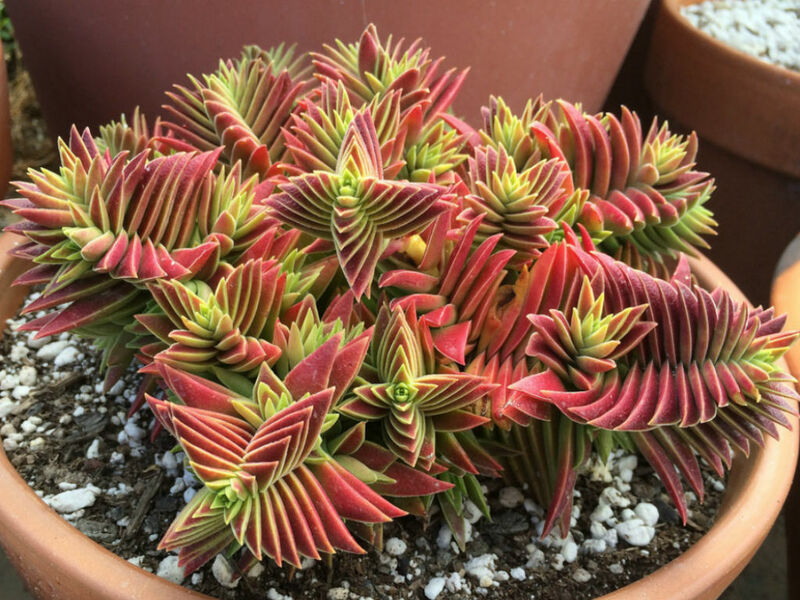 Share the post "Crassula Corymbulosa Or Red Pagoda – An Amazing Succulent"
For anyone who likes succulents, and not only, Crassula Corymbulosa (Crassula capitella subsp. 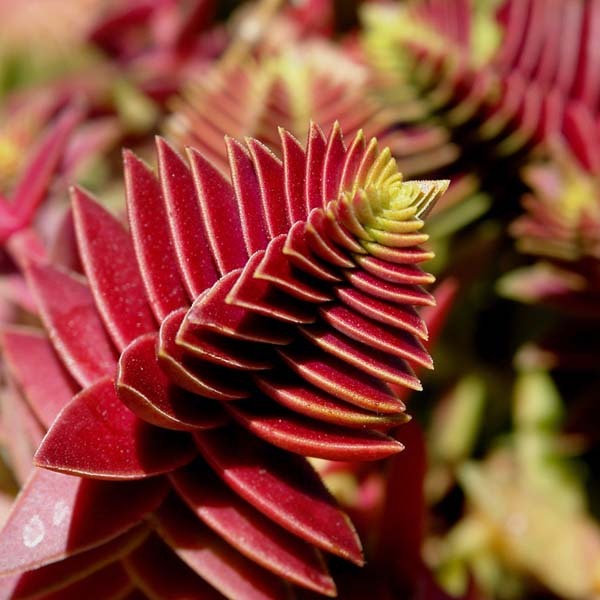 thyrsiflora), also known as a Red Pagoda plant or Shark’s Tooth will be of a much interest because of its attractive foliage – triangular shaped leaves, which form architectural pyramids. This unique plant evokes images of a trip to Shanghai where religious temples reflect the unimaginable forms of architecture. It is not so easy to describe the clusters of stacking pagodas growing not randomly but in amazingly coherent formations, so it is better to see it. Crassula Corymbulosa is an evergreen succulent native to South Africa growing to 6 – 10 inches tall and 14 – 24 inches wide. Symmetrical overlapping leaves of the Red Pagoda plants eventually develop into pagoda-like rosette’s that exhibit a vibrant red tinge if grown in enough sun. Foliage color tends to stay green in shadier exposures. It is also known that ‘Red Pagoda’s’ color is brightest in winter in response to short, cool nights and bright sunlight. Plants start out green and gradually brighten to a rich red. Tiny white flowers appear on the branch tips in fall before dropping its leaves, which will then produce new rosettes of their own. This makes it possible to create dozens of individual plants from one initial specimen. Crassula Red Pagoda will eventually form a dense mat up to two feet in diameter. Plants form roots at their joints even before they make contact with the ground. Red Pagoda Crassula is an easy-to-grow plant and is a great addition to any succulent collection. It can grow at home as a houseplant or amongst a display of other succulents in the garden. 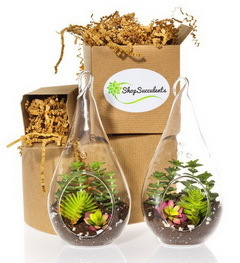 Here we give just several tips on how to grow this interesting succulent. • It does well in containers and hanging baskets. The stems are initially erect but over time, as new rosettes form, it will begin to trail. • Requires a well-drained soil and has very low water needs once established (allow soil to dry between thorough waterings). • Prefers a sun to partial shade exposure. • For a neat appearance, remove old foliage before new leaves emerge. • Divide clumps every two to three years in early spring. • You can feed the plant once every month during growing season. • Hardy down to 32 F, so if you live in a colder climate it is advisable to grow Red Pagoda Crassula plants in a pot and bring them indoors in the winter. Crassula is a genus of succulent plants containing about 1480 accepted species, including the popular jade plant (Crassula ovata). They are native to many parts of the globe, but cultivated varieties originate almost exclusively from species from the Eastern Cape of South Africa. Do you grow Crassula Corymbulosa Or Red Pagoda Succulent? What is your experience with this plant? Please share with other fellow gardeners in the comments below! Do you sell Crassula Corymbulosa Or Red Pagoda Succulent seeds or have plants for sale? You can place your advertisement here. Contact us now!